This entry was posted in Race and the Priesthood and tagged Hymn #332, Hymn #59, Hymns, Media, Music on July 17, 2014 by claytonbhess. This entry was posted in Book of Abraham, Race and the Priesthood and tagged Gospel Topic Essays Race and the Priesthood, Gospel Topics Essays, Scriptures, Study Helps on July 16, 2014 by claytonbhess. 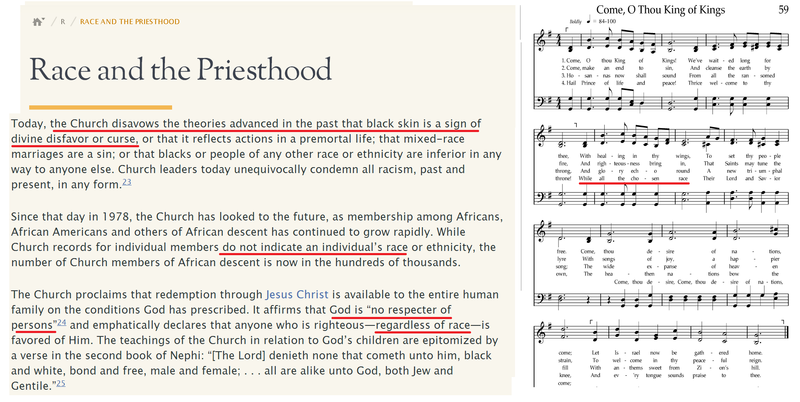 This entry was posted in Race and the Priesthood and tagged 2 Nephi, Book of Mormon, Scriptu on July 16, 2014 by claytonbhess. 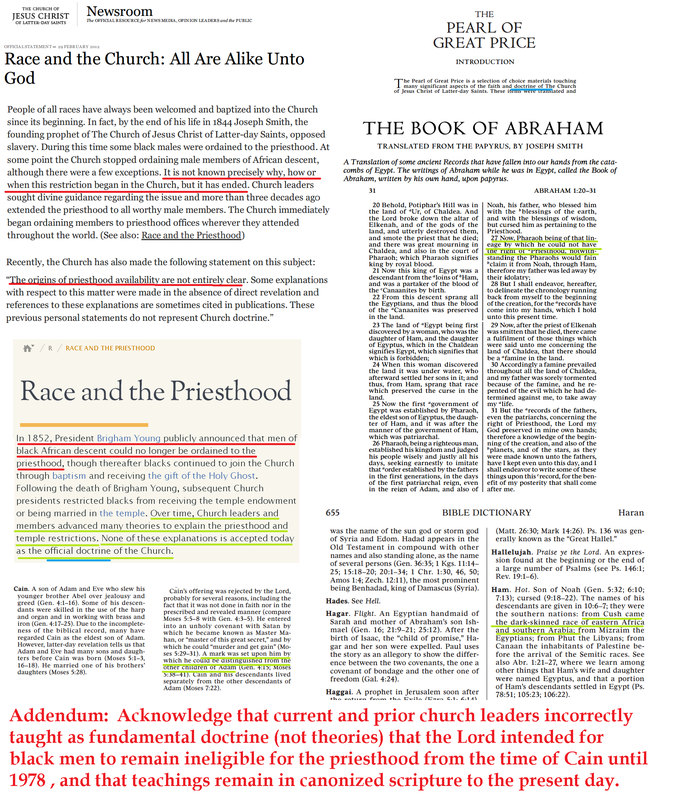 This entry was posted in Race and the Priesthood and tagged Doctrine and Covenants Course Manual, Doctrine and Covenants Course Manual Official Declaration 2, Manual, Official Declaration 2, Sunday School on July 15, 2014 by claytonbhess.